Not only was Khan born into one of India's A-list celebrity families, he is also the 10th nawab of Pataudi, meaning he is technically royalty in the former princely Pataudi state in northern India. Khan, however, chose acting over royal life. He's been a Bollywood star for more than 25 years, acting in romantic comedies such as "Hum Saath-Saath Hain," the critically acclaimed crime drama "Omkara," and even a Walt Disney Hindi animation. 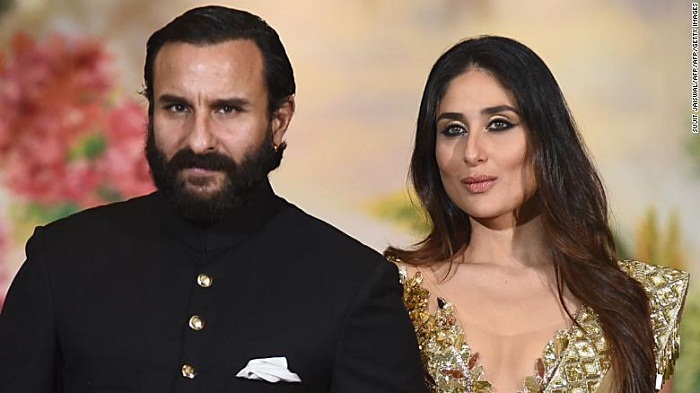 Saif's most recent project "Sacred Games" is the first Netflix original out of India. It has been compared to "Narcos," the platform's hit drama about Colombian cocaine kingpin Pablo Escobar, and is the Indian's star's opportunity to reach an international audience. It's the Holy Grail in a way, making something local, and then selling it internationally. The most international thing you can do is export your own values and your own country. f I really wanted an international career, I would probably be living in LA -- not in Bombay ... (The Indian film) industry is growing, and we could be architects in our own nation. To be part of a culture at home that's developing carries a very special significance and I'm very content doing that.